Swissport has taken 100% control of Heathrow Cargo Handling Ltd (HCH) after acquiring the 50% stake held by joint venture partner Air France. Terms were not disclosed. Last year, the HCH joint venture, with a workforce of some 120 employees, handled over 150,000 tons of air cargo, seven percent more than in 2017. 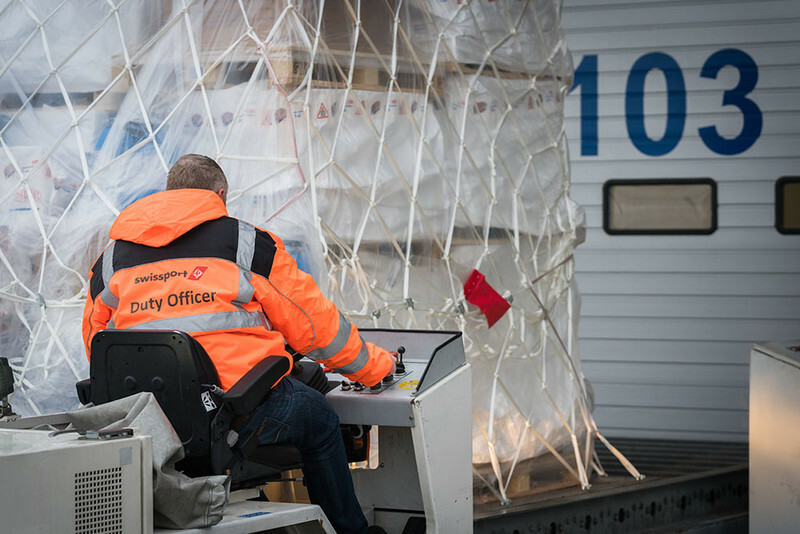 HCH has been providing cargo handling services at Heathrow, one of Europe’s busiest air cargo hubs, since 1995. Luzius Wirth, Swissport executive vice president Europe, Middle East & Africa, said: “We are very satisfied that we can strategically round off our global cargo business with this selective acquisition. “On the basis of over 20 years of successful business, jointly with Air France, Swissport now has the right setup to further develop and enhance its service offering at London‘s Heathrow airport”. The Switzerland-based ground handler said that the HCH acquisition enables Swissport to “invest further” in its air cargo operation and service capabilities at Heathrow airport, where it operates two warehouses with a total surface of some 15,300 sq m.
In September last year, Swissport expanded its cargo presence at Heathrow Airport by taking a 36,000 sq ft facility from SEGRO. Swissport signed a 10-year lease at Unit 1, SEGRO Park Portal Heathrow, a Grade A warehouse facility that also includes office space. Swissport International, on behalf of over 850 client-companies, provides airport ground services and handles approximately 4.8m tons of air cargo at 122 warehouses world-wide.